Sinatra has released the first pre-release of 2.0. Here, you’re invited to give it a try, and also see what’s new and different. Note that it only supports Rack 2.x and Ruby 2.2 and above. DHH walks us through his process in driving out a name for a class and method. A lesson in one of the hard things in programming. Yes! 24/7 dedicated support for your app from less than $1 per hour. 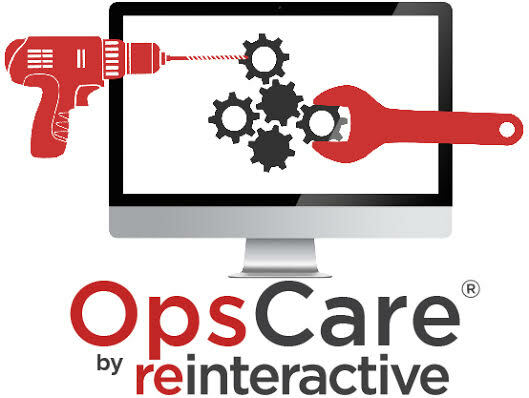 Take advantage of the performance enhancing tools for your Rails app on one of the world's most robust and stable Operations as a Service platforms, OpsCare®. A look at driving out a JSON-to-XML converter implementation using functional techniques, such as pure functions and memoization. A 2 part adventure of using Trailblazer (an alternative structure for Rails apps) to refactor an existing Rails application. Part 2 here. ABProf is a tool to compare which of two programs is faster. Noah Gibbs gives some examples and use cases of the tool. The how and why of Rubinius adding first-class support for functions, including why other implementations should consider doing the same. Not just a good episode on its own, but Ruby Book Club is an interesting weekly podcast where Nadia Odunayo and Saron Yitbarek read and discuss a different Ruby book. Plans to open source it. Charles Nutter has tweeted that anyone submitting a PR for ‘needs tests’ JRuby issues will get a sticker. In this free eBook, we introduce Docker Machine, Swarm, and Compose, and describe how they are packaged into what's called the Docker Toolbox. A look at various approaches to controlling application flow, from exceptions to monads. Using Solr and Sunspot to cache expensive calculations. A free tool that allows you to customize your OS X toolbar and for which you can write a plugin in Ruby, as here. How to write your own Wiki-editing Slack bot using Ruby and Sinatra. Sarah Mei challenges our concept of software ‘teams’ and presents a new metaphor for our craft. Analyzes a Ruby (or Rails) project and displays dependency information as a directed force graph using D3. Calculate values for a parent from its dependent objects, such as total price for an order from its order items. Sum, average, count, and more are available.